Enjoy the best ocean views in your own private self contained lifestyle apartment. 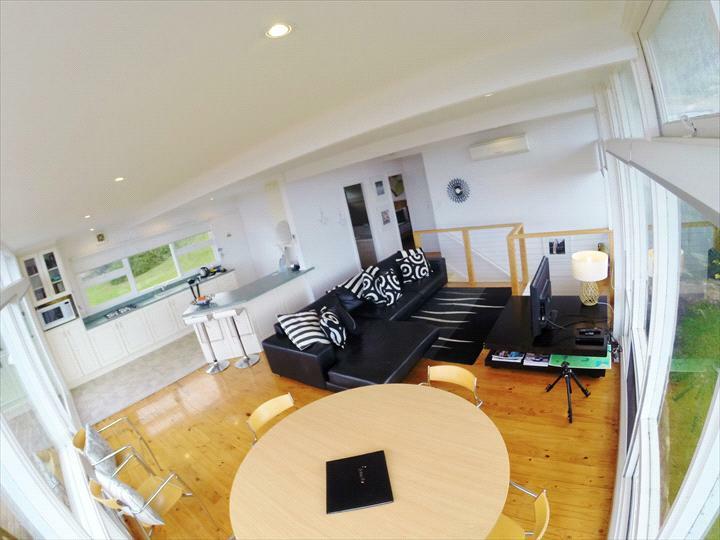 Individually styled and located in the elite area of Victor Harbor. 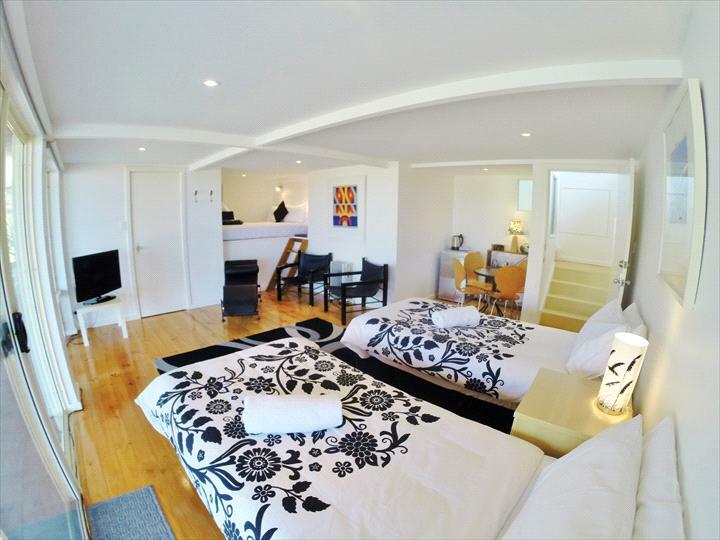 Victor Apartments are boutique luxury propertiess.Self catered and bed and breakfast. 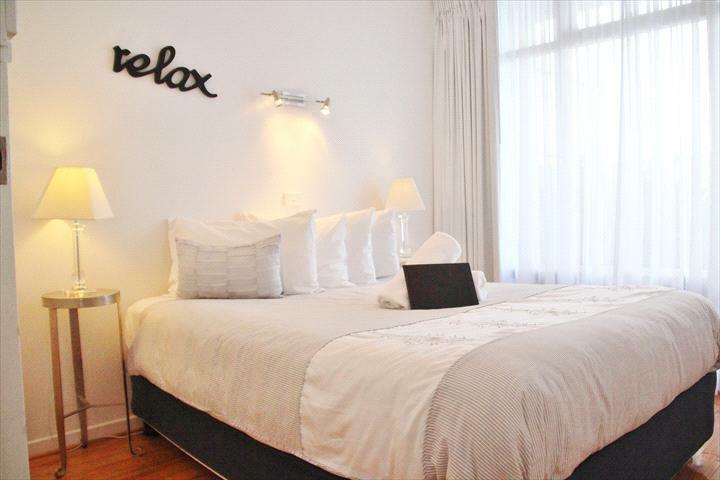 Perfect for romantic getaways, family holidays, honeymooners, conference or a simply stop over. The Adare Apartment is an ultra stylish two storey, three bedroom apartment two queens up stairs, open studio downstairs with elevated queen and two king singles. Two bathrooms, downstairs with a washing machine. Self contained kitchen with dishwasher, full fridge, convection microwave and stove top. The kitchen looks over the open plan lounge with Italian leather modular TV, DVD and dining area. The lower area also has a TV and breakfast nook with mini fridge. This looks onto a large entertaining deck with sea views. Ceiling to floor windows to take in the ocean views. The master bedroom has views looking over the ocean and second has a beautiful four poster queen bed. It is decorated in a French seaside style, featuring floating floors throughout, both dining room and lounge have French doors opening to an outdoor area and private garden with magnificent views to the ocean Granite island and township. In the sitting room suite is the suede and oversized lounge perfect to relax while watching the view, DVDs or sipping champagne. A large teak table is provided outside to enjoy your meals and a BBQ. All appointments are quality and put together to inspire a relaxation in you. A kitchen is provided featuring full fridge, microwave and hotplates all fully self contained. A lovely dining area with Gas log fire place. Quality art is featured in and out of the apartment. The seaside colours of blue and green and yellow emphasize the sense of the sea from all window. The apartment is a shortwalk to the beach, walking tracks and the township. Situated in the elevated part of Victor Harbor among superior homes, this is a wonderful place for one, two or three couples. Ocean viewed villa with spacious king room, and four poster queen in the second bedroom. There is private lounge, dining room and galley kitchen, eco cooling in summer and Gas log fire for winter, landscaped garden and spectacular ocean views. Relax in your private villa! 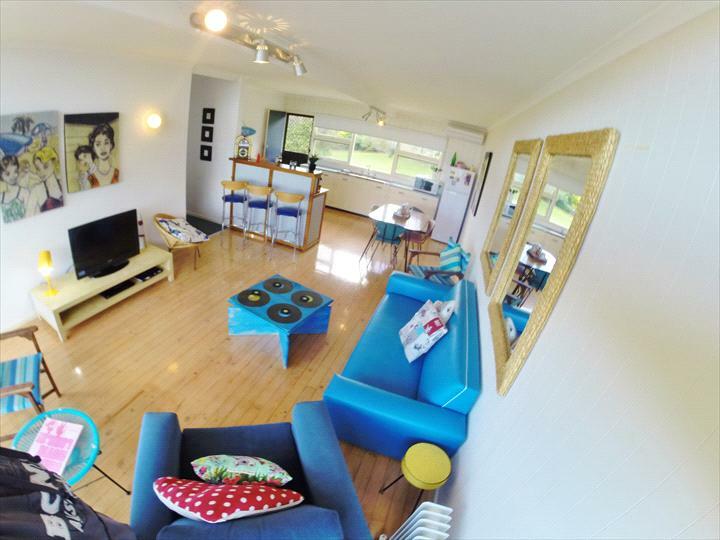 Surfs up is our 60�s surf decorated and inspired apartment featuring 3 bedroom with a queen in the master bedroom and 2 singles in each of the second two bedrooms. There is an open plan lounge, dining and kitchen area. The kitchen is fully equipped with full fridge, oven and stove and microwave. The lounge has a t.v and dvd and looks onto the large entertaining deck with outdoor setting. There is one bathroom with shower and a washing machine and out the back of the property is a courtyard with a clothesline and gas bbq. Modern contemporary glass box apartment with two queen bedrooms, open plan fully equipped kitchen with full fridge, convection microwave, stove top and dishwasher. A lounge with modular, tv dvd and dining area and outdoor dining on the large deck. Spectacular views inside and out.